Kat Nottingham comes from a family of artists. Her father, Walter Nottingham, was a renowned fiber sculptor. Kat Studied art and computer science at Saint Cloud State University. She continues her journey of painting and discovery with a group of artists at the St. Croix School of Painting outside of Stillwater, MN. She is best known for her waterscape, landscape, and skyscape paintings in oil and acrylic. 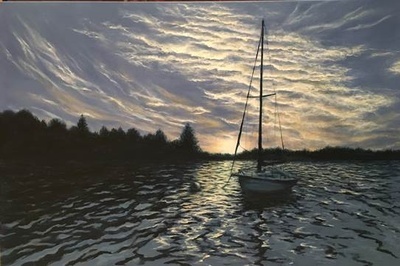 Her paintings celebrate the splendor of nature and humanity, expressing moments of precious beauty - a wave crests and curls just before crashing onto the beach, a cloud stretching across the sky and reaching upward… Kat's most common subjects are her garden, Lake Pepin where she keeps her sailboat, and the beach in Fort Lauderdale, Florida where she goes to escape MN winters. 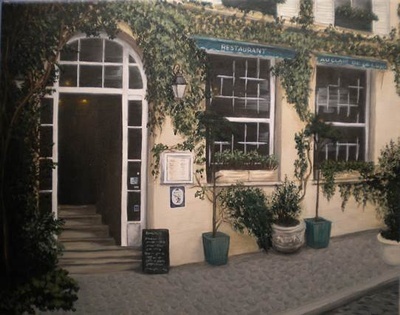 Her style is impressionist, often the amount of detail in her work gives it a more realistic feel. Please visit https://www.katnottingham.com to view work by Kat. We will also be showing artwork created by Waseca Art Center members. “We are looking forward to exhibiting a large variety of styles and mediums from our talented community,” mentioned Andrew Breck, Interim Executive Director. All members of any age are welcome to submit and drop off up to (4) pieces of artwork that they would like to exhibit between April 16th-20th during our business hours: Tues-Fri 11am-5pm and Saturday 10-1 pm. Please email artwork information, including name, title, medium to info@WasecaArtsCouncil.org.